Nestlé offers a variety of limited-edition confectionery for the 2014 holiday season that are perfect as gifts or for sharing with guests. Praline Cheesecake is the latest flavour addition to the Turtles line of holiday treats, joining limited-edition varieties Pecan Praline Turtles and Fudge Brownie Turtles. Also new is the Nestlé Igloo Clubhouse, with brings together Smarties Penguin, Crunch Polar Bear and Aero Snowy Owl. 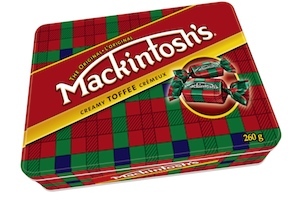 The company offers collectors’ tins for the holiday season as well, including a 333-g tin of Turtles, and a 260-g tin of Mackintosh toffee.